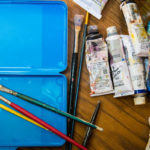 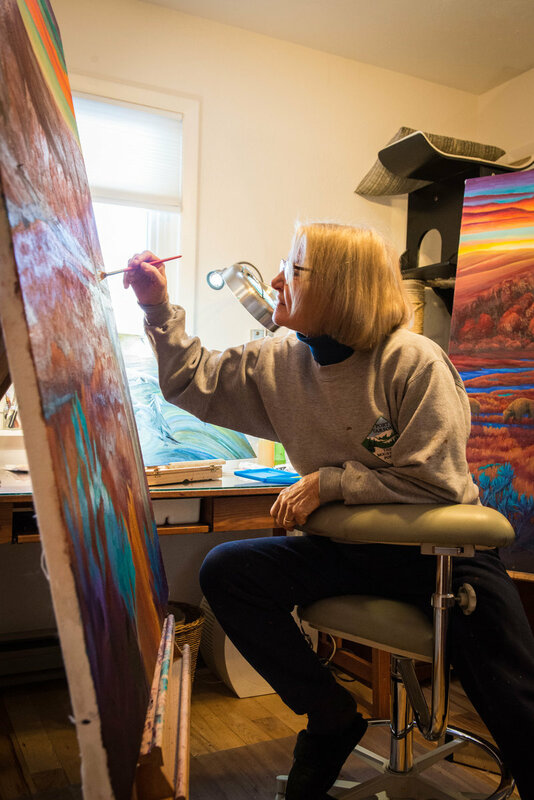 Toussaint has been visible in the arts community as both a featured painter in valley shows and a teaching artist with local organizations. 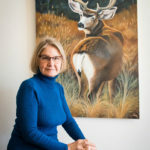 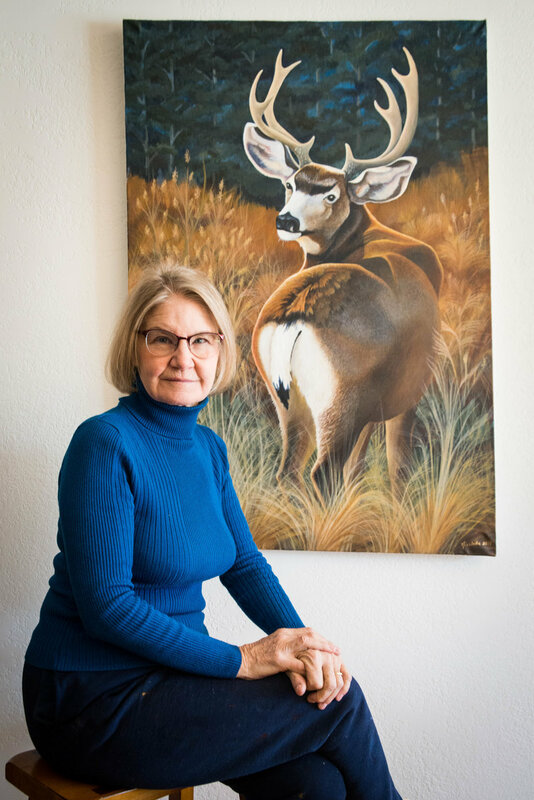 Her work is currently on display at the Snowmass Chapel and the Eagle County Building in El Jebel, and in March will appear at the Rockies West National watercolor exhibition in Grand Junction. 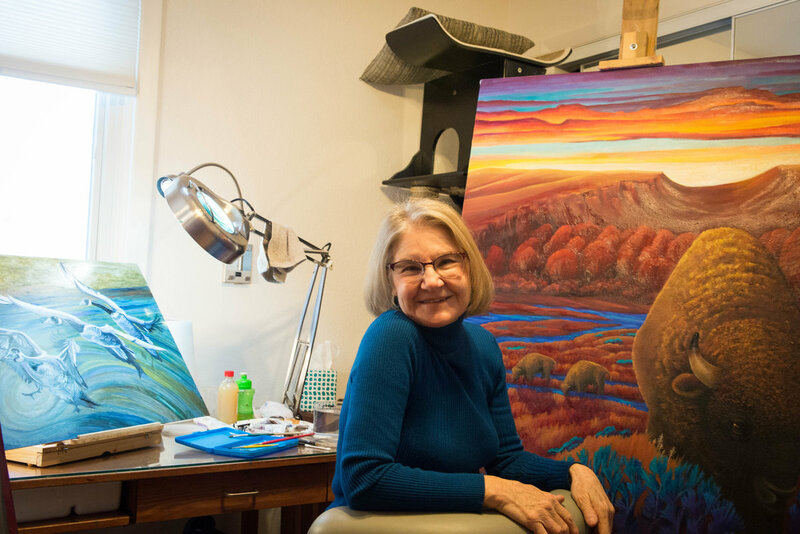 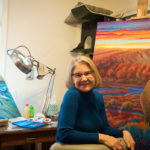 This month she’s leading classes at Rifle’s Bookcliffs Arts Center and is also scheduled to teach at the Basalt Regional Library in April. 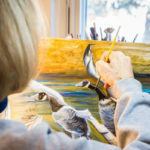 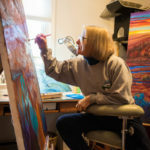 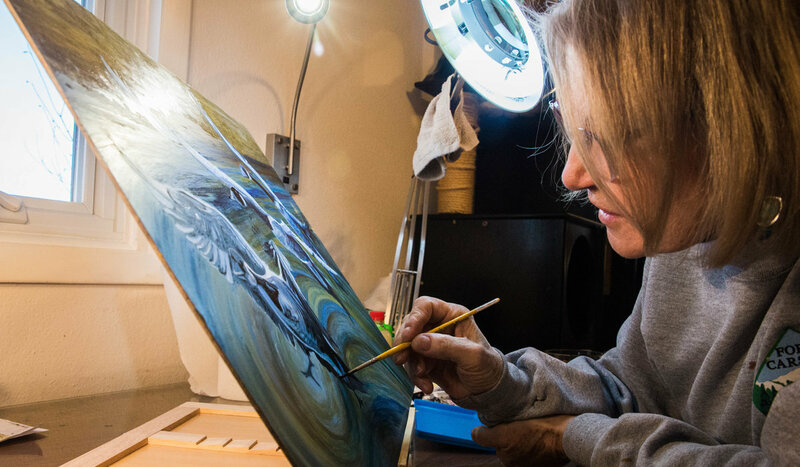 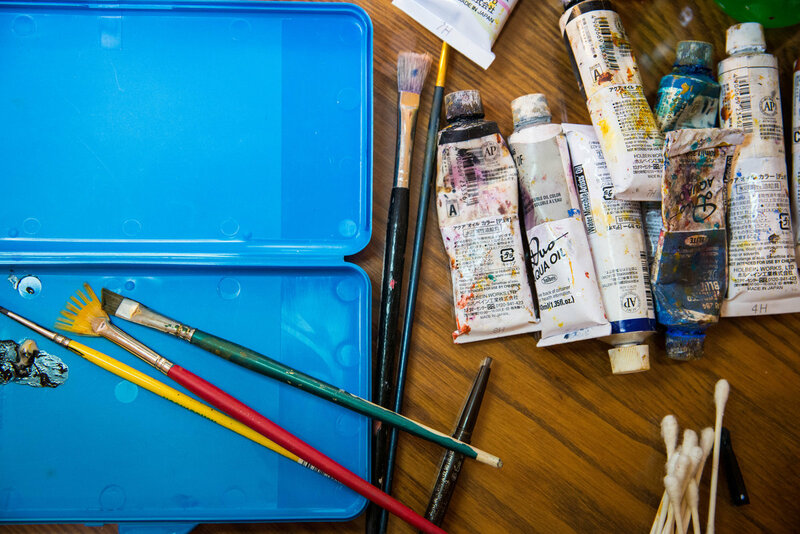 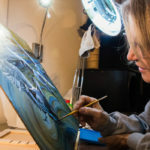 Between engagements, Toussaint can be found steadily creating in her Carbondale home studio. 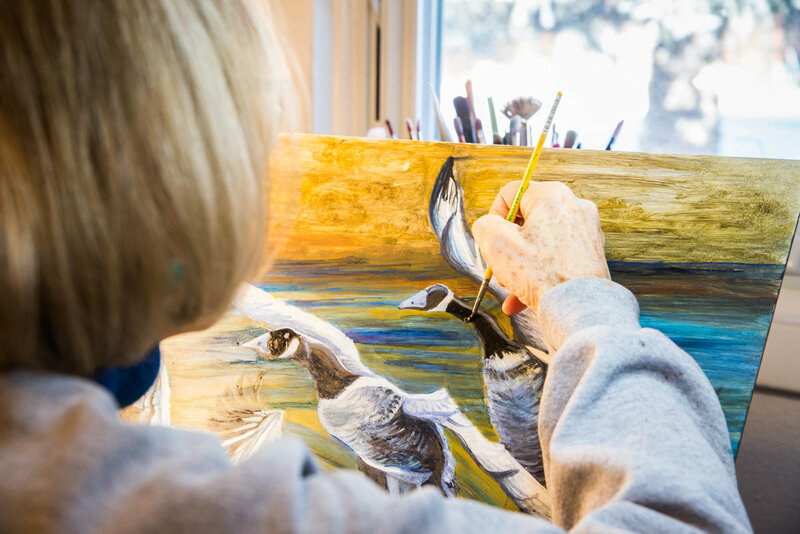 “These paintings are the legacy I want to leave behind,” she says.